A blog is a pure and dangerous vanity that is best understood through blogging and reading other blogs. Job 28:28 (King James Version) And unto man he said, Behold, the fear of the Lord, that is wisdom; and to depart from evil is understanding. In the book of Job we are presented with a fictional character set into a fictional situation which is then presented as a test case of ancient Jewish wisdom ideology as presented in the book of Proverbs in the Bible. It has become a popular belief that Job was tested by God, in that God was allowing bad things to happen unjustly to Job as a means of testing the loyalty of Job under hard conditions. We are told right off the bat that Job was one of the most righteous men of his day, and that God was well pleased with Job. Job's favor with God is demonstrated according to the prevailing standards of ancient Hebrew wisdom ideology (in other-words he was rich because he was righteous). The 'accuser' then comes onto the scene and insists that Job is only righteous 'because he is rich.' Takeaway his riches and he would curse God. God agrees to allow the accuser to strike out at Job. It is this establishing of the premise of the book that people have seized upon to interpret the book of Job as 'about testing'. This is to completely miss the point of what follows. Indeed, by showing God consenting to disaster upon Job, at the very beginning of the book the author is bringing into question the fundamental premise of wisdom ideology-that life is ordered and understandable and predictable. No reason is given for God's decision to allow disaster to happen to Job. This is the point. It is 'a mystery,' and as such an initial blow is struck at the prevailing ideology of the day, which held that all is understandable, the God is knowable and revealed in human history, that the universe is governed by immutable laws of cosmic wisdom, that everything happens for a reason and as such, proverbial slogans can be created out of everything that happens, because everything that happens is an expression of the will and active intervention of God. Well, everything, that is except what happened to Job. For as wisdom ideology had it, "bad things never happen to good people." This was a given, one of the immutable cosmic laws of divine wisdom as ordained by God. To question this premise was to bring into question the entire superstructure of wisdom ideology built upon these dogmatic foundations. DO NOT CLICK ON ANY OF THE LINKS BELOW! You have disabled your Facebook account. You can resume your account at any moment by logging into Facebook with your previous login email address and password. Subsequently you will be able to exploit the site as usual. This message was sent to . If you don't want to receive these emails from Facebook in the future, please click: unsubscribe. 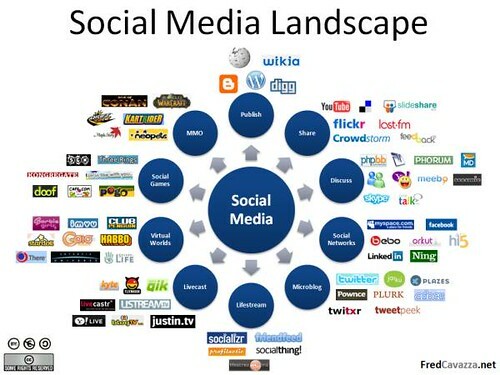 I wrote this quick analysis of where the social media has come from and where it is going for my cousin who is getting prepared for an interview at a global social media marketing agency. After thinking about it, I wanted to also post it online to gather your feedback and thoughts. What opinions you might agree or disagree with? What do you think?? Where the industry has come from and where it is going is a tough question, especially if you want me to keep it brief. I'm going to try to keep this basic but feel free to ask me any more in-depth questions you might have. I sincerely appreciate the feedback as it will help me grow as well. Back in the day when it was just Myspace there was not much transparency. No one was who they said they were including myself. i used to make profiles like "cabbage Patch Kids" just to get people in the target demo (this case young and young at heart girls between the 13-18 year old range) to friend the profile and add them as a top friend to get a viral effect going. Then I would re-brand the page to promote my own products, ie the Paula Abdul Cardio Cheer series. Now transparency is a must and those who do not disclose their identities can get in big trouble from the FCC with big fines. Advertisers and product reviewers are expected to disclose who they are, if they have been contacted by the brand and if they're getting paid when reviewing the product – even in a tweet. Since Myspace days many more social networking communities have popped up, some receiving large investments, but the main players now seem to be Facebook, Twitter, Youtube, Pinterest, Instagram (instagram was just bought by Facebook for a billion dollars a couple of weeks ago, and Pinterest has been getting a TON of buzz but the community is still relatively small) Each play their different rolls. For instance, social networking, video, photo & bookmarking … but other bookmarking networks such as reddit, digg, stumbleupon still also play important rolls because they are good for SEO and site referral traffic. Nothing goes viral anymore without advertising. At best, you can create a video and dump a lot of money into it in hopes that it will make the front page of youtube's "new" or "most viewed" videos and take off from there. There is so much good video less than 1% of videos go viral and it's really just luck if not for ads, and even with ads it's still luck. "Free" social media marketing is dead and never actually ever existed. Even in the past it still required someone, usually a kid, to spend hours upon hours reaching out and connecting with others to get the message across. Along the way Myspace has died while other platforms and initiatives such as flickr, corporate blogging and many others are continuing on the downward slope. Some could even argue blogging is beginning to die slowly as more and more people prefer to simply tweet or share on Facebook, but I am still on the fence as I can see many valuable reasons to blog including information sharing and SEO. Now and moving forward, some of the biggest challenges in the industry are cross-channel optimization and tracking (consumers switching from TV, to online, to tablet, to cell-phones all in the 5 minutes – how do you track this and/or know which channel to give the proper attribution for the end goal, whether that be product awareness/branding, sale or email signup. Brands and advertisers are looking to create a similar model to TV GRP ratings (Gross Ratings Point) which deciphers how many people are viewing your message, mostly because that is what brands and advertisers are used to dealing with and by doing so it will open up more understanding, possibilities and money by brands who are on the fence. By no means is that the most accurate model. Even with TV for instance, how can 25 families really represent a million? Tablet/Mobile advertising is also huge because of how much people are using their mobile devices but there are still a lot of grey areas, specifically with size. To begin you never have a lot of space to get your ad message across so it has to be really small and to-the-point, but also there are TONS of different devices with each their own display size, so really to advertise on mobile could cause you to create 100+ (literally) different ad sizes to optimize it for each device. As you can see that is not really practical and therein lies half the problem. Once that channel opens up, though, the advertising possibilities are going to be limitless and extremely effective, since you can hopefully target specific areas by location and demographics as well as devices. Right now mobile ads are relatively the cheapest, but as I've found the engagement rates (to get sign-ups) are relatively low, what I think is due to "fat fingers' and people accidentally clicking on the ads. Yea I get more impressions and clicks, but when I look at sign-ups they are the same (or I should say statistically lower) than traditional online ads like google adwords or facebook ads, so in the end I would state it costs the same for an acquisition. I hope this helps. As always, I'm happy to hear your questions and especially feedback if you have any! All happened at Five Guys burger and fries (which is absolutely awesome, by the way) and on my birthday.